Are you looking for tried and true rules for simplifying rental showings? Let us help you! Call 1st or appointment only? Wait for callback or show the property? Help! Agents, we’ve heard you. 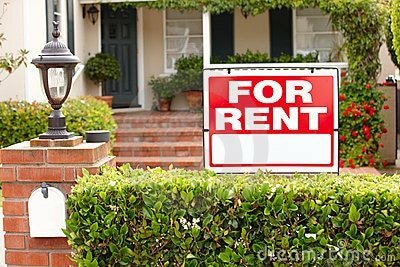 Here’s your 5-minute guide to simplifying rental property showings–courtesy of WJD, the Northern Virginia property management firm with more than 30 years’ experience in residential rentals and leasing. A Little Background: Why This Guide? If you put most of your time and energy into listing and showing for-sale properties, it’s pretty easy to get confused about the terms and protocols for scheduling and showing rental listings. And, of course, it’s tough getting your clients to a signed lease if just scheduling a showing feels like an obstacle course. Since property management is all we do at WJD, we thought a little educational series would be helpful. We like making rentals easier for agents. 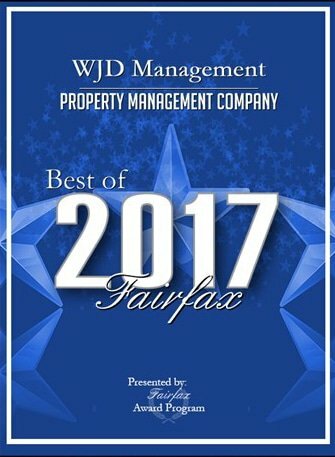 And after more than 3 decades of doing residential property management and leasing in Northern Virginia, we’ve gotten quite good at it. After all, the simpler and more profitable we can make leasing for you, the better for your clients and ours. In this series, we’ll tackle one by one the most common questions our staff encounters from agents about showing and leasing rental properties. Some of the topics in this series apply to all Northern Virginia MRIS listings—while others relate specifically to WJD’s carefully streamlined leasing process. Let’s begin by decoding the rental listing terms and demystifying scheduling etiquette. Rule 1: “Showing Contact” = Occupant. Sometimes, agents assume the showing contact given in the listing is the listing agent. While that’s an understandable assumption, it’s incorrect. The person you’ll need to contact is the person living in the rental. It may be the owner, or it may be a tenant—but it’s never the listing agent unless the agent is actually the resident as well. Rule 2: The Showing Contact is Always Referenced. Of course, that occupant (whether owner or tenant) wants to be contacted about showings so they don’t get surprised by the doorbell while binge-watching Game of Thrones in their jammies, with a fistful of cheese doodles poised midway between bag and mouth. As a result of this occupant desire for advance notice, the showing contact’s name and telephone number are referenced on the listing. This of course raises the question of what exactly is “reasonable advance notice”. Contrary to a prevailing belief among agents and tenants alike, it is NOT 24 hours! But then again, it’s not 24 minutes either. Just put yourself in those jammies for a moment and think about what YOU would find reasonable if you were the resident. Personally, I would probably be ok with a couple of hours so I think that’s a pretty good benchmark to start with. Rule 3: Showing Contact Appears in 5 Listing Display Types. Wondering how to make absolutely sure you’ve got the right contact info for the showing contact (i.e., occupant)? You can expect it to appear only in the following types of listing displays. This distinction can be a little confusing, we realize. The difference is that the “Appt Only” listings require scheduling with the showing contact—whereas the “Call 1st” places no such restriction on the agent. “Call 1st” simply gives the showing contact the courtesy of a little lead time to turn off Game of Thrones, put the cheese doodles away, and change out of jammies. Rule 5: No Need to Inform Listing Agent. Rest assured, the listing agent wants you to show the property—period. No one, least of all the listing agent, wants you to have to jump through a zillion hoops just to set up a rental showing for your client, so this hoop can definitely be eliminated. Rule 6: Leave a Message. Occupant didn’t pick up when you called? No problem, you can still show the place at a time that’s convenient for you and your client (assuming it’s a “Call 1st”). BUT, you’ve got to leave a message. Hopefully, the occupant will get the message in time—but either way, once you’ve left the voicemail, you’ve done your part. Not your fault if the occupant arrives at the door glassy-eyed from Episode #10 and covered in snack food residue. Rule 7: Callback Not Necessary. To build upon Rule 6, let’s all agree that in leaving a message, you did all you humanly could to respect the occupant’s privacy. The rest is really up to the occupant. Rule 8: Can’t Leave a Message? You Can Still Show the Place! Perhaps you can’t leave a message. It happens sometimes. The occupant lets the voice mailbox get full—or maybe they they never even set one up after getting that new iPhone. In any event, don’t let such antisocial behaviors deter you from showing the property. Just access the lockbox (assuming one has been installed). And (I’m sure I don’t need to tell you this), make sure to announce your presence nice and loud before entering. Rule 9: Pets Present? Be Safe. So, the occupant is unreachable, you can’t leave a message, AND the listing states there’s a pet present. Annoying, for sure—but still doable. Here’s where a little extra safety measure comes in. Because…as much as you’d prefer NOT to find disheveled, pajama-clad occupants lurking in the man cave, they probably won’t growl or snap at you. A guardian Rottweiler, however? That might be a different story. Do yourself and your client a favor by contacting the listing agent for more information about the pet(s). Then, once you’ve got the details, it’s up to you whether to enter the property or not. Rule 10. Always Check the Date Available. Keep in mind that the listing date is typically 30-60 days in advance of the “Date Available.” You’ll save your client (and yourself) time in your search if you limit showings to only those that are available within your client’s timeframe. If you have any questions we haven’t answered here, please use our contact form to get in touch. Your question might just become the topic of a future blog post. Utilities in a Vacant Rental? Keep ‘em On!